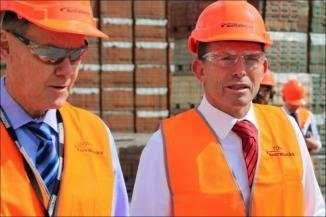 In "Another brick in the wall for carbon tax"
Tony Abbott visited Austral Bricks. Austral Bricks managing director Lindsay Partridge said the Brickworks had reduced carbon emissions by 40 per cent in the past decade, but the introduction of the carbon tax would cost his company $12.8 million a year. After his hands-on experience, Mr Abbott shared a sausage sandwich and a few words with the employees. Should Austral Bricks Save $12.8 million a year? Here is an example of technology that is "carbon-neutral", able to save Austral Bricks $12.8 million Carbon Tax per year. Nexterra gasifiers can accommodate a wide range of wood fuels including bark and white wood sized to 3-inch minus with moisture content up to 60%. For most applications, wood fuel does not require drying or special pre-treatment. 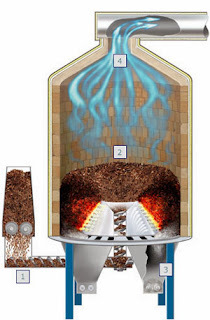 Nexterra gasifiers may also be adapted for other biomass fuels. Nexterra systems are fully automated for unmanned operation with state-of-the-art PLC controls. The control system is designed to provide safe, efficient operation of the energy system. Austral Bricks Longford operation in Tasmania is the first brick-making facility to receive certification under the Government’s voluntary Carbon Neutral Program. Congratulations to Austral Bricks on becoming a leader in their field. For businesses, being carbon neutral means looking carefully for ways to reduce energy emissions, which makes good business sense as well as being good for the environment. "Who will be First to Cop the Carbon Chop?"